Brian was born and raised in Pottsville. In 1993, as a student at Pottsville Area High School, Leffler began working, part time, at Schlitzer Allen Pugh Funeral Home. Finding this profession very fulfilling, he continued his education at Northampton Community College, where he obtained an associate’s degree in Applied Science and Certificate of Mortuary Education. He then served his internship with Heffner Family Service, who was at that time, owner of Schlitzer Allen Pugh Funeral Home. In 1996 he became a licensed funeral director, working exclusively at this Pottsville Funeral Home. Then in January 2002 he took the next step in his career, proudly accepting the position of general manager at this same facility where he began part time employment only nine years earlier. On August 16, 2013 Mr. Leffler completed the purchase of Schlitzer Allen Pugh and three other funeral homes in Pennsylvania and one in New York. Brian is the son of Agnes Leffler of Pottsville and the late Edward Leffler. He has one brother, Edward, who with his wife, Joanne, also resides in town. Brian married a hometown girl, Victoria (Pellish) Leffler, daughter of Charles and Theresa (Austerberry) Pellish, of Pottsville. They have been blessed with two children, Gage and Sloane. Brian and his entire family would like to say how proud they are to be able to continue the legacy for providing the highest quality funeral and cremation services to his hometown and surrounding communities. Ryan is a Licensed Funeral Director and Certified Celebrant. He assists our families in creating and personalizing unique and meaningful funeral services as a way of celebrating the life of their loved ones. 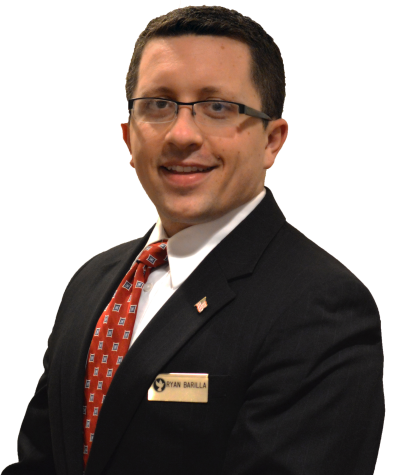 Ryan has been managing Schlitzer Allen Pugh Funeral home since August 2013 and is dedicated to serve families in a time of need. A 2010 graduate of Pittsburgh Institute of Mortuary Science, receiver of the memorial award, chosen by his classmates as the graduate who through qualities of leadership, professional conduct, and good citizenship best typified their ideals. Prior to being licensed, Ryan served his internship under Brian Leffler in 2010. Angela M. Mestishen –Regnier was born and raised in Schuylkill County. She attended St. Clair Area Schools and graduated from Pottsville Area High School. She graduated from Northampton Community College in 1995 with an Associate’s Degree in Funeral Service Education. Prior to becoming licensed she completed her internship locally and then continued to provide her professional services to families within Schuylkill County while working at a local firm. Angela is the proud mother of two sons and a daughter. She, along with her husband and their children are members of St. Matthew’s Roman Catholic Church, Minersville. She is a member of the St. Clair Women’s Club and the Schuylkill Heath Auxilliary. She has been affiliated with the Schlitzer-Allen-Pugh Funeral Home since September 2013 and is dedicated to providing quality and professional services that are both dignified and serve as a tribute for the deceased and their family. Nick Wachter has been an associate with us since February 2003. He serves families that call on Schlitzer Allen Pugh Funeral Home. Nick is also a Certified Celebrant. If you are not a member of a church or if you simply do not wish to have a religious service, he can help you. As a Certified Celebrant, Nick works with families to create a meaningful tribute that reflects the personality and life-style of the deceased. He received his training and certification from the In-Sight Institute. Agnes is a lifetime resident of Pottsville. She is a proud graduate of Nativity High School of Pottsville. After receiving her diploma, Agnes was hired by Acme Food Market. Her career at Acme spanned four decades and offered her many opportunities to meet people. It was in this role that she met her husband, Edward, who also worked for this grocery chain. Together they were blessed with two sons. Agnes’ husband passed on at an early age, leaving her to raise the boys. Today Brian, the owner of Schlitzer, Allen, Pugh Funeral Home and his brother Ed are sources of endless pride for this dedicated Mom. In her free time, you could find Agnes in her kitchen cooking her famous Halupki, baking her delicious peach pies and hand dipping her homemade peanut butter cups. She is known for sharing these treats with friends throughout the community. However, nothing makes her happier than passing them on to her five wonderful grand children. She has been associated with Schlitzer-Allen-Pugh Funeral Home since 2005. Chip is a resident of Schuylkill Haven where he resides with his wife, of 44 years, Nancy. Together they have two children and are blessed with 5 grandchildren. After graduating from Stroud Union High School, Stroudsburg, PA, Chip obtained his BSIE degree from Lehigh University. Chip worked as an industrial engineer at Van Heusen, Pottsville and after working 20 years, he retired in 1999 from Carpenter Steel, Reading, PA.
Chip is employed as an Administrative Assistant at Grace Evangelical Free Church, Cressona. Over the years he has held honored positions of Official Board Chairman, Trustee and Deacon. Chip is passionate about giving back to the area youth. This is no more evident than in his 40 year involvement in high school coaching. He currently serves as boys’ baseball and girls’ basketball assistant coach at Schuylkill Haven Area High School. As a PIAA football official, he can be found at many Saturday games. When he is not coaching, Chip volunteers as assistant scout master for Boy Scout Troop 122, a position he has held for over 20 years. He has been associated with Schlitzer-Allen-Pugh Funeral Home since 2005. Jack Hoffman is native of Pottsville, PA and resides there today, with his wife, of 40 years, the former Barbara Hallman. After graduating from Pottsville High School in 1955, he began employment with the ACME super market chain. He dedicated 42 years to his career and retired as an auditor with this same company. Jack served in the Army reserves and retired after 21 years of service, with the rank of Sergeant First Class. He worked at Pottsville Area EMS for 30 years as a paramedic assistant EMT. Jack was vice president of the Pottsville Club from 2005-2006. He is a past president of Ivyside Swim Club and is a past assistant EMA coordinator of Schuylkill County. He is a member of Pulaski Masonic Lodge #216. Jack is the Emergency Management Coordinator of the City of Pottsville. He is a member of Trinity Lutheran Church and has served on church council. He is a 50 year member of Yorkville Hose Company where he retired as chief engineer and currently serves as financial secretary and chief medical officer. He has been associated with Schlitzer-Allen-Pugh Funeral Home since 2010. Scott is a graduate of Pottsville Area High School class of 1978. Following graduation he attended Penn State University. For the past twenty seven years he has been employed by Schuylkill County 911. Eight years ago he was appointed to the role of director of this life saving community resource. He and his family are members of St Paul’s Lutheran Church in Port Carbon. Here he proudly serves as president of the church council. For nineteen years, he served as fire chief in the Borough of Port Carbon. Currently, he is president of the Pennsylvania Association of Public Safety Officials International and serves as fire marshal and emergency management coordinator for Port Carbon. He has served on the board of education for the Pottsville Area School District for the past 10 years and presently holds the seat of vice president of this board. He has been associated with Schlitzer-Allen-Pugh Funeral Home since 2011. Charles is a resident of Pottsville, where he lives with his wife Barbara. He is a graduate of Pottsville Area High School, and earned a Bachelor of Science degree from Millersville University. Charlie continued his higher education at Kutztown University being awarded a Master of Science degree. After completing the required classes he earned his Principal’s Certificate from Lehigh University and a Superintendent’s Letter from Temple University. Mr. Wagner is known to many throughout the community since he has served Pottsville Area School District not only as a teacher but also a principal for 35 years. Charlie is a member of the National Football College Hall of Fame, the Crimson Tide Football Club and the Schuylkill County Historical Society. He has been associated with Providence Place for five years and further serves the community as a board member of the Pottsville Area School District. He has been associated with Schlitzer-Allen-Pugh Funeral Home since 2013. Ed is a lifelong resident of Pottsville, currently residing in the Yorkville section of the city along with his wife Joanne (Bonan) Leffler. Ed and his wife have three daughters. He is a graduate of St. John the Baptist Grade school, Pottsville Area High School and earned a Certificate in Management from Penn State University. Ed worked for Cressona Aluminum Company/Alcoa, for 23 years and is currently employed by RockTenn - Fold-Pak, a manufacturer of paperboard take-out containers, as Safety/Environmental/Quality Manager. Recently he was selected to serve on the RockTenn Folding Division Safety Council to review and set safety policy. He is also a member of the National Safety Council. Ed is active in his community as a member of St. John the Baptist Church in Pottsville where he and his wife serve on the Food Committee. He is also proud to be a member/officer of the Good Will Fire Company # 4 of Pottsville. In his free time, he enjoys traveling, with his family, to the beach as well as gardening and other outdoor activities.